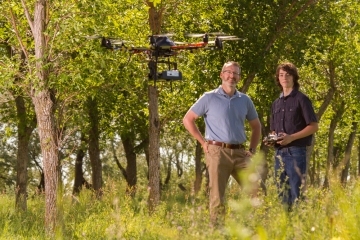 The University of Lethbridge is very excited to announce that the School of Graduate Studies at uLethbridge now offers Canada’s first Master of Science program in Remote Sensing. The objective of the program is to accommodate students interested in studying aspects of remote sensing that are not contained in the geographical research domain. The newly approved program provides the opportunity to develop research skills in remote sensing by completing independent research in the field at the master’s level. Learn more about the program by watching the webinar hosted by Dr. Craig Coburn! Questions? Email us at sgsinquiries@uleth.ca.